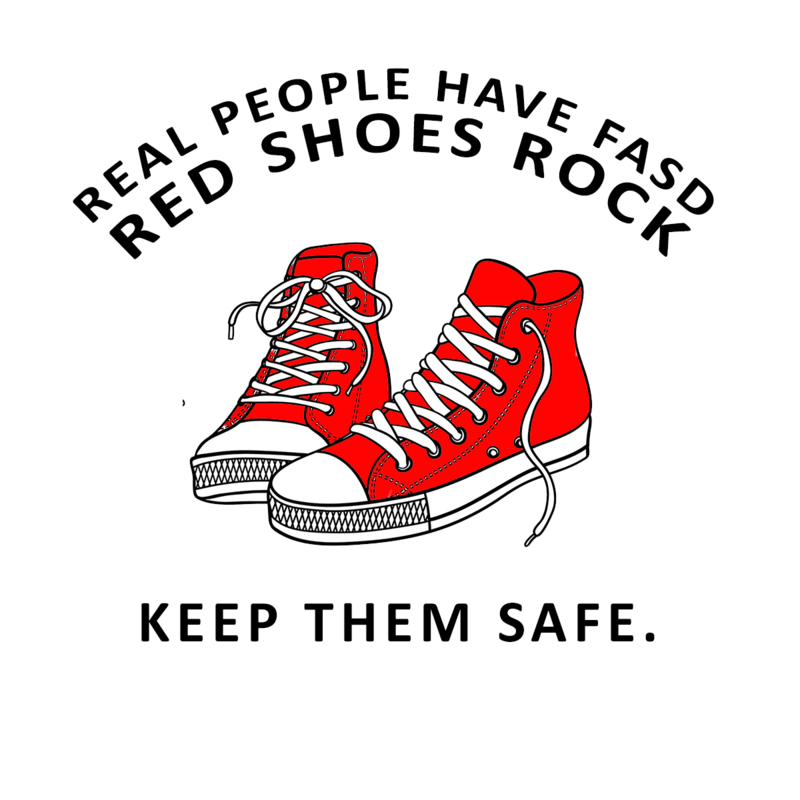 Families and individual who have joined our Red Shoes Rock virtual relay have courage. Fetal Alcohol Spectrum Disorders are often hidden and families and individuals are misunderstood by their communities and the professionals who become part of their lives. We are looking for more families wanting to run the virtual 90 day race as a team (family includes – pets, friends, supports, whoever you consider your family). All individuals who ran last year are welcome to run again as individuals or with persons embrace as family. Let’s go team – email your info to jodeekulp@gmail.com with subject 2017 Red Shoes or message Ann Yurcek or Jodee Kulp and we will get you into the race – we have a sample we can share privately so you know what to do. So what is Red Shoes Rock? R.J. Formanek actually began the movement to bring visibility to the in visible lifetime 100% preventable disability of fetal alcohol spectrum disorders in 2013. Then in 2014 Better Endings New Beginnings (Jodee Kulp) and LiveAbilities Good Fruit Camp Productions (Sam Guerrido) joined RJ to help build awareness leading up to International FASDay on September 9 – we gave it a go for 30 days having fun gaining almost 1000 followers. We continued it in 2015 for 60 days. Last year we joined forces with the Tiny Titan Team and Ann Yurcek, Sasha with Savanna Pietrantonio and Mark and Johan Wiklander of RealMindz plus loads of friends from over 40 countries — Over a 90 day campaign to create awareness with 90 Real People. Real Lives we reached 150,000 views. 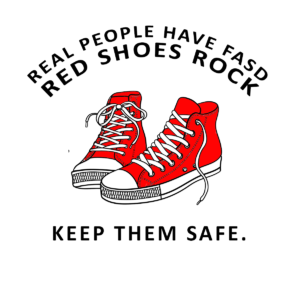 This entry was posted in Real Families, Uncategorized and tagged FASD, FASDay, fetal alcohol, Real Families Real Lives, Red Shoes Rock. 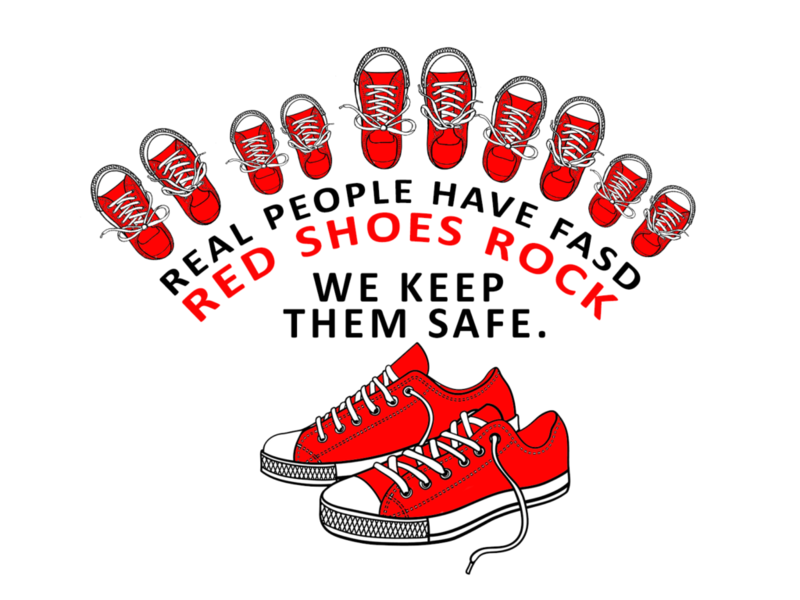 I am un-diagnosis FASD and my custodial granddaughter also has FASD. In doing our family history work I realized that I created a son with FASD and am the daughter and granddaughter of women who also had FASD. FIVE generations and we say ENOUGH. Asheleigh Charbonneau will have a planned baby and shall not drink when this event is happening. Asheleigh Charbonneau loves to read and is working as a wonderful nanny. My passion is to advocate for others and I run CANGRANDS NATIONAL KINSHIP SUPPORT Our family strengths is to do better then the generation before us. Our motto is what does not kill you will strengthen you and HE has not forsaken us. Our family wish is the reasonable respite be available to all and with education no women would drink while PG. One does not come from five generations of FASD without some serious challenges and my best advise is choose your mountain and let the little stuff go. The best advise I can give to those in the trances is to go to the solution and not the problem. No place to post photo here or an email to send them too.